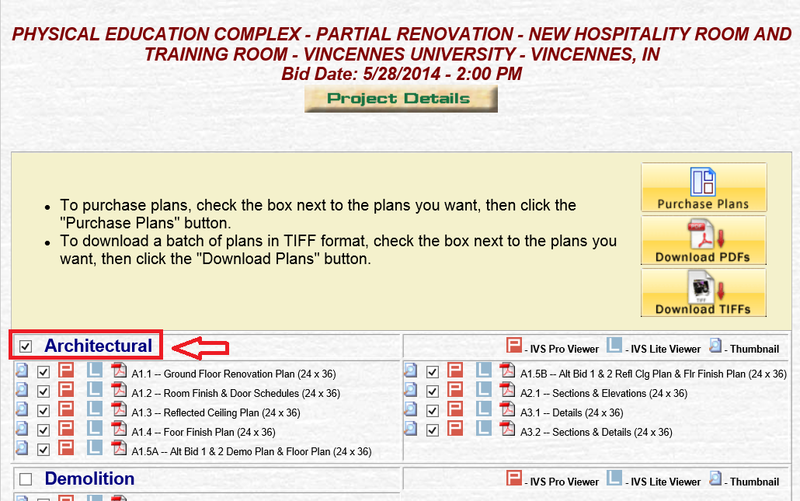 In our recent survey, one of the most frequently requested features that was cited as missing from the IPIN system was the ability to batch select multiple plans by division with one click for downloading or purchasing. You spoke and we listened: members can now select multiple plans under each discipline in one click of the mouse. This new feature is easy to learn and can potentially save your index finger from a lot of extra clicking. Step 1. 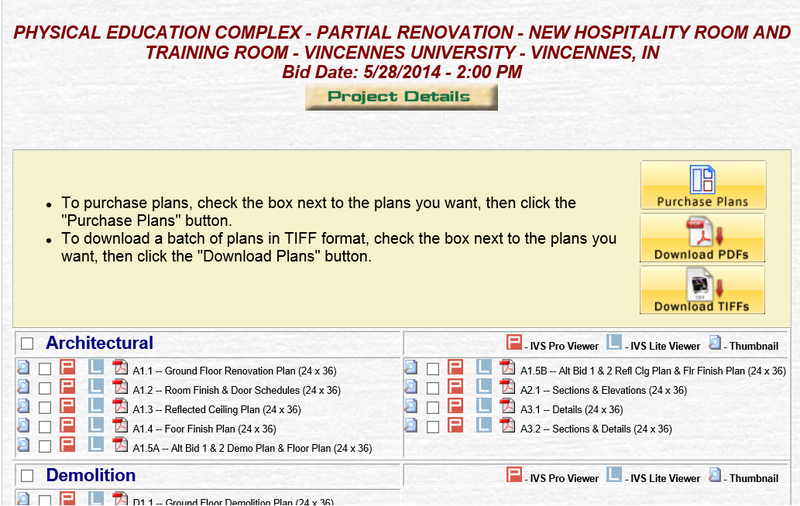 Navigate to the “Plans” page of the project. Step 2. Click the empty box to the left of the division you would like to download or purchase. This will add a checkmark to every plan underneath that division. You can also deselect or add individual pages within the division or other divisions. Step 3. 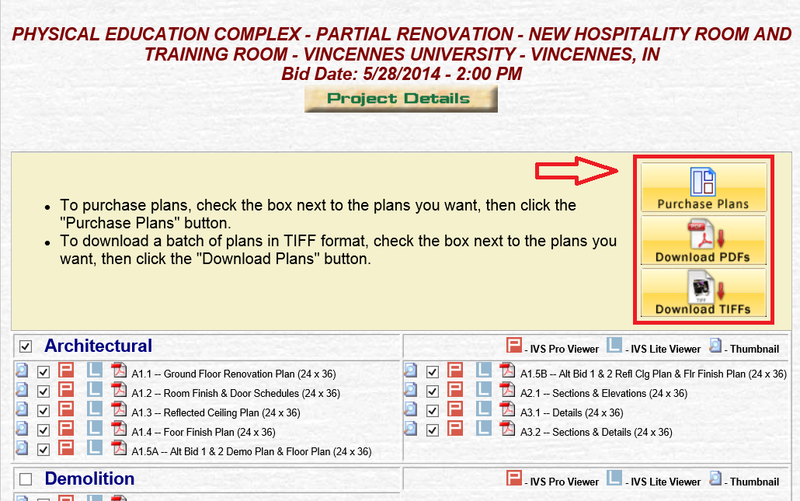 Once every desired plan has been checked, click the “Download PDFs”, “Download TIFFs”, or “Purchase Plans” icons at the top of the page to download or purchase the selected plans in the selected format. For more tips like this one, join us in Louisville on the third Friday of every month from 10-11:30 a.m. for free IPIN training at the Builders Exchange Center for Education & Training Excellence, 2300 Meadow Drive, Louisville, KY 40218 or at the same time on the fourth Friday of every month at our Lexington location, 1035 Strader Drive, Suite 100, Lexington, KY 40505. 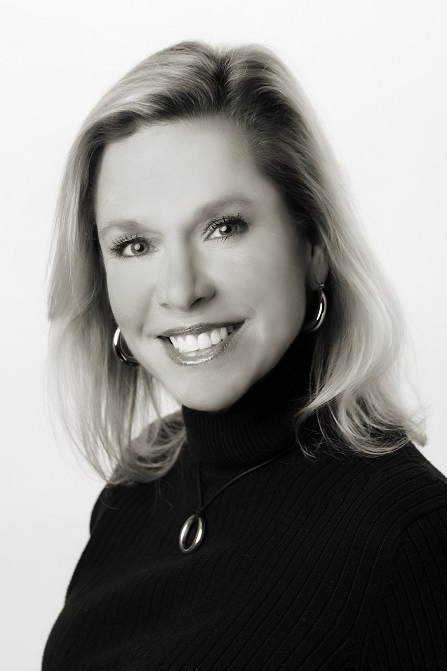 Online webinar training is also available on the third Thursday of every month from 10-11:30 a.m. Call me, Aaron Thomas, at (502) 459-9800 or e-mail athomas@bxkentucky.com to RSVP. Looking for more tips? Click here to look at every IPIN Tip of the Month.